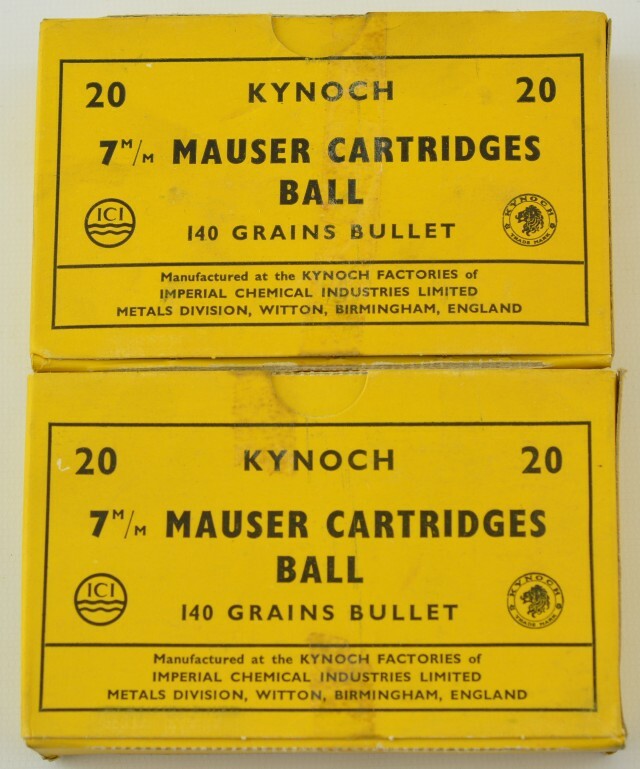 Description: Two classic yellow Kynoch 20 round (40 total) boxes of 7mm Mauser laoded with 140 grain full metal jacket bullets. 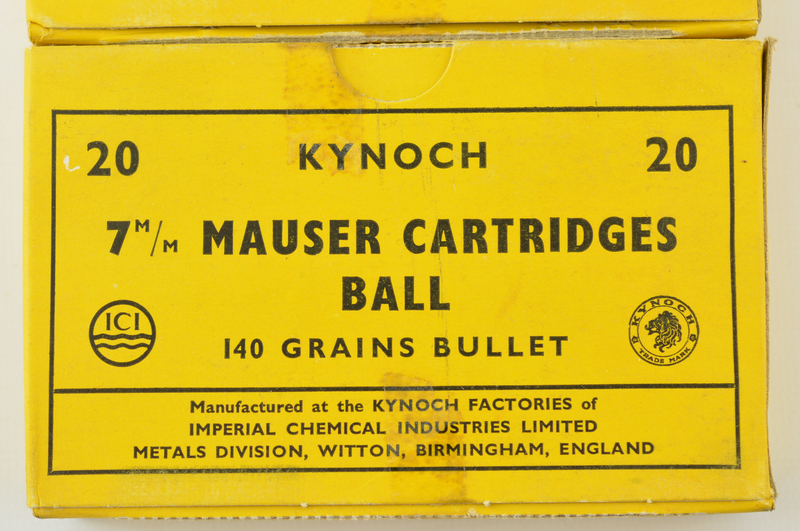 Headstamp reads "K57 7mm" indicating 1957 production. These boxes are clean and come from a freshly opened solder sealed tropical case originally holding 51 boxes. 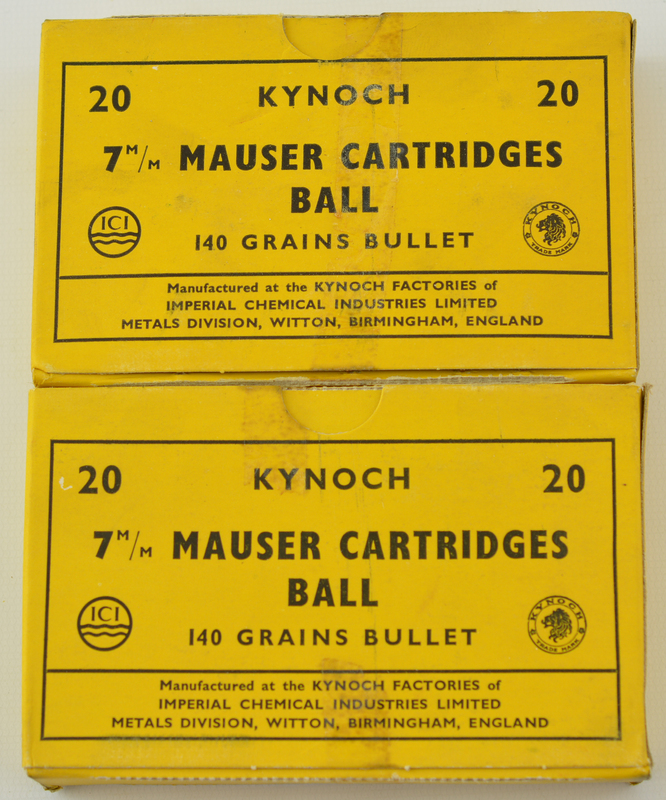 Front of box shows IC1 logo and Kynoch lion logo. Boxes show light dust, ammo is bright and clean.